Take a look at our fill heads! We offer diving lance, direct flow, and cone style. Take a look at where ABA equipment has ended up! We pride ourselves on our exceptional customer service and support. 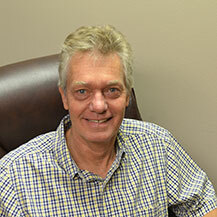 Since 1991, Anthony Barber Associates, LTD. has been operating as a family-owned-and-operated business. Located south of Charlotte, NC, we are honored to deliver our manufactured liquid filling machines, lid placing and closing machines, and supply spare parts to our customers nationwide and internationally. Whether you are using our filling machines and equipment for paint, chemicals, coatings, or other similar fluids, you will notice the difference in quality when you purchase our products. Here at ABA, we pride ourselves on delivering a quality service and aim to establish long-term partnerships with all of our customers. All of our machines are designed to fit each customer’s specific needs. You can choose from a diverse selection of pail filling equipment, volumetric or net weight filling machines, as well as rotary feed tables, lid placers, crimpers, droppers, conveyors, and presses. Our experienced team designs the machines for explosion-proof areas to meet C1D1 (Class 1, Division 1) and C1D2 (Class 1, Division 2) standards. Our customers are welcome to tour our facility to view the machines in production and to discuss your specific machine needs with us in person. If you are unable to visit our facility, you can give us a call at (803) 396-0621, and we will happily help you select your ideal liquid filling machine. Welcome to ABA's new and improved website. I invite you to browse through our selection of machines and equipment and hope that you will reach out to us if we can assist you in any way with your filling line needs. We regularly post videos of our latest machines on our youtube channel Subscribe to receive updates for our newest videos. “Fortunately I found Anthony Barber Associates on the internet while doing a search for filling equipment. Right away Anthony provided fantastic customer service in regard to understanding our process and what solutions they offer. Their promise on delivery is exceptional compared to other equipment vendors I have used!"